The Slvr: exciting innovation or just a Razr that doesn't fold? Motorola announced nearly $400million (£245million) of losses for the third quarter, thanks to a desperately unprofitable mobile phone division that it's keen to sell off. Despite shifting over 25 million handsets, including the double-touch Krave ZN4 and a bunch of Rokrs, the phone division alone lost $840million (£515million) - that's over £20 on every phone sold. Motorola recently said that it was ditching the Symbian operating system - just as it goes open source - in favour of Google's Android. By choosing to start again from scratch, Motorola admits that it won't be able to bring an Android handset to market until at least this time next year. 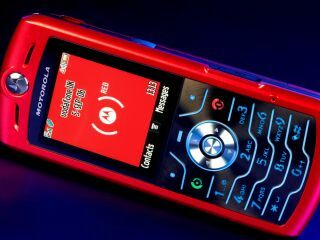 Although Sanjay Jha, Motorola's CEO of Mobile Devices, blamed the global financial crisis for his inability to off-load the handset business, some of the fault has to lie with a division that simply hasn't created an inspiring handset since the original Razr V3. The company's latest handset, the bizarre 2G rotating Aura (itself a clear successor to the quirky Motorola V80), is unlikely to prove an irresistible temptation to potential buyers. Ominously, Motorola also says that it will be "implementing further cost reductions with an estimated annual savings of $800million in 2009". Will the last one out of the door please turn off the Auras?